South Australia is famous mainly for its wine and opals. More than half of Australia's wine is produced here, the vineyards flourishing in its Mediterranean climate, and the State's three major opal fields, Coober Pedy, Mintabie and Andamooka, supply around 80 percent of the total world production of these sought-after gemstones. South Australia offers an enticing blend of outback, beaches, wineries and wildlife in abundance. 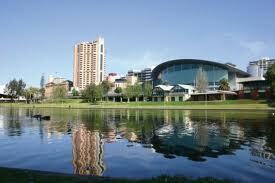 South Australia’s capital Adelaide is a beautiful city full of world-class restaurants, wide open spaces, and a variety of art and culture and is home to a great range of festivals which run throughout the year. The main international airport in South Australia is Adelaide. Unfortunately there are no direct flights to South Australia from the UK, however you can take your pick from some of the world’s best airlines such as Singapore Airlines and Air New Zealand who fly into Adelaide with a short transit or change of aircraft on the way. Just 60 kilometres from Adelaide, are the well renowned vineyards of the Barossa Valley, Australia’s most popular wine region and famous for its Shiraz wines. For a taste of the outback head inland to the ancient Flinders Ranges, a stunning collection of mountains, gorges and creeks packed with native plants and a haven for wildlife. Explore the magnificent Wilpena Pound, an enormous amphitheatre of rock and one of the oldest landscapes in the world, on foot or by scenic flight. South Australia’s Eyre Peninsula is packed with quiet sheltered beaches, seaside towns, National Parks and the interesting Nullabor Plain, a vast expanse of treeless semi-desert. Hop over to Kangaroo Island with its beautiful bushland, forests, rugged cliffs and of course a superb array of native wildlife. Our Directflights.com flight search box can help you to find the cheapest flights to South Australia, Australia. Simply fill in your travel requirements and we will search over 500 airlines and travel partners to find you the best deals on cheap flights. Choose from low cost flights or search for a particular airline, if you’re after lastminute flights, we can find the latest availability and most competitive offers around. The South Australia climate differs greatly, with a range of climatic zones including desert temperatures in the north and Mediterranean weather along the coast, with warm dry summers and cool wet winters. Adelaide, along the coast, can experience very hot weather between December and February, but spring and autumn are usually very pleasant, and are perhaps the best times to travel to South Australia. Winter is the coolest and wettest season (June to August). 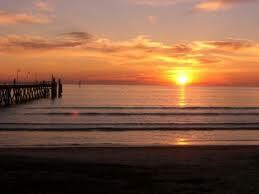 Away from the coast the temperatures can be extreme with summer maximums over 104°F (40°C) and little or no rainfall.